Weighty Matters: Should 8 Year Olds be on Cholesterol Lowering Medication? Should 8 Year Olds be on Cholesterol Lowering Medication? In case you hadn't heard, last week the American Academy of Pediatrics recommended that kids between the ages of 2 and 10 be screened for cholesterol problems if they have risk factors for problems therein. Risk factors would include strong family histories, obesity, high blood pressure or diabetes. The Academy goes on to recommend that for kids over 8 with high cholesterol, medications be considered. On the one hand, perhaps that makes sense. 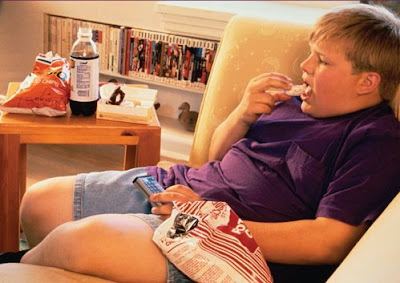 We know high cholesterol to be a risk factor for heart disease and these kids therefore have at least two risk factors. Presumably lowering cholesterol will therefore reduce long term cardiac risk in these children. The problem is, given that generally we haven't been treating 8 year olds with cholesterol lowering medications, we actually don't know that there will be a long term benefit, we just assume there will be one and that there won't be any surprising long term complications from starting these drugs during years that their bodies and brains are developing. On the other hand, by giving these kids drugs, at least in kids whose secondary risk factor is not a strong family history (in which case they may well have genetically high cholesterol levels), we're not addressing the root cause of their effectively middle-aged bodies - lifestyle. Given that 8 year old kids don't cook for themselves, don't shop for food for themselves, don't pack their own lunches for themselves and all in all live the way their parents have taught and allowed them to live, I think it's a crying shame that there's no pill that we can prescribe to their parents to help them learn, set, live and lead better examples.